I’m a sucker for Scandinavian knitwear, so when I saw that Swedish Handknits by Sue Flanders and Janine Kobel had come out I couldn’t wait to get my hands on it. This is a book that takes its inspiration from the past, all the patterns in it were inspired by the collections and environs at the American Swedish Institute here in Minneapolis. 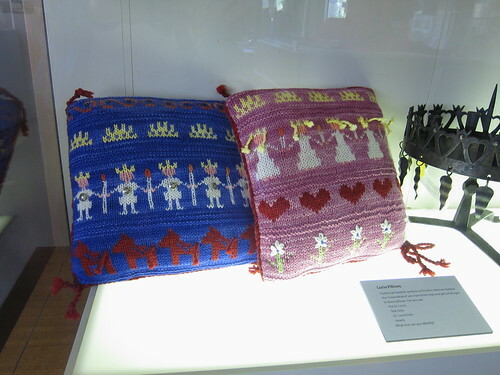 It is a perfect match as the ASI really spotlights Swedish textiles, both historical and modern. 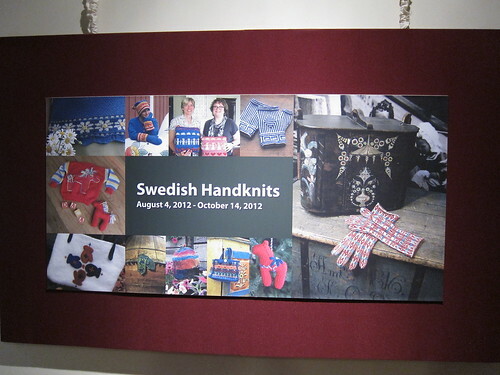 Currently, they have an exhibit that features the projects from Swedish Handknits along with the items in the museum that inspired them. Here is a sampling of some of my favorites from my visit earlier this month. Twined-knit stockings are really beautiful in their simplicity. Twined-knitting is not something I’ve been able to master, but the book offers such good step-by-step photos and instructions that I’m willing to try it again. These will likely be Matt and my stockings for next year. 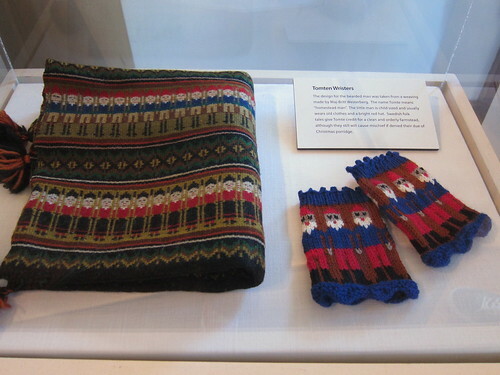 Tomtem wrist warmers based on a weaving using a traditional pattern from Jamtland. 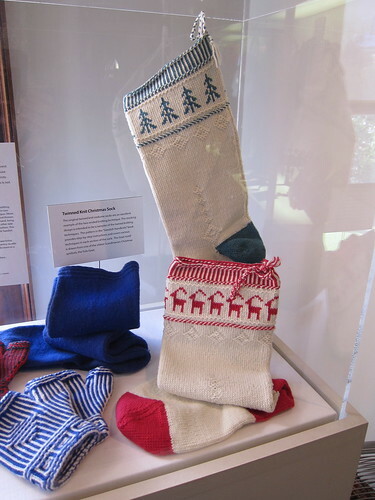 I’m a big tomte fan and would love to knit these up as full mittens for Christmas time. 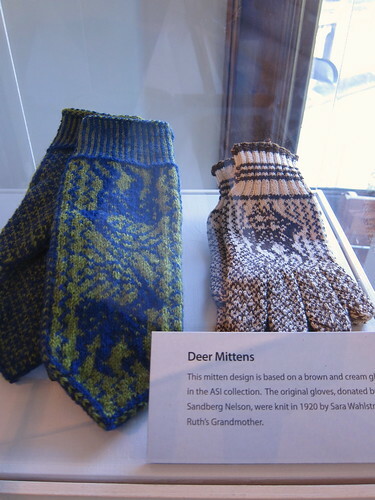 Deer mittens based on a pair of deer gloved knit in 1920. 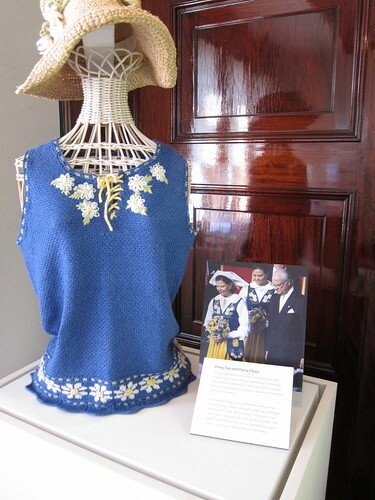 A summer daisy sweater based on the Swedish National Costume (show on the Queen Silvia in the picture above). 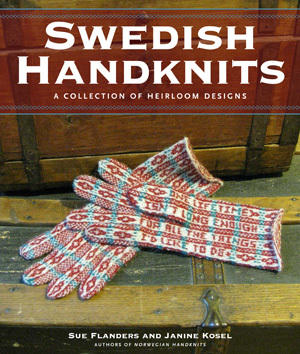 Even if you can’t get the museum to see the pieces in person, this book is really a delight for any knitter of Swedish descent (or those that just appreciate Swedish style). There are projects for most levels of knitters (though a large percentage of the patterns do include colorwork). 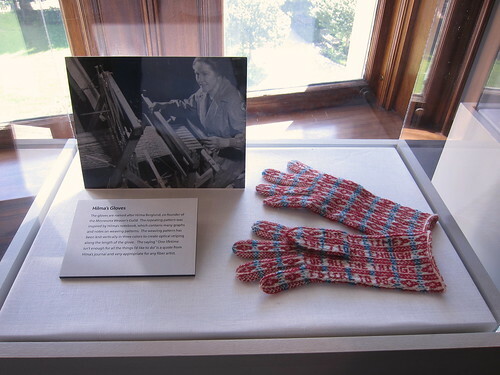 They range from easy Sami-inspired hats to beautiful complex colorwork gloves. From basic striped legwarmers to lace work shawls. Techniques are clearly illustrated and explained especially special ones. Charts for the colorwork patterns are all large and full color, making them easy to follow. On top of that, the book is full of short essays people and techniques as well as a few traditional recipes. All of which make it fun to sit down and read beyond the knitting patterns. 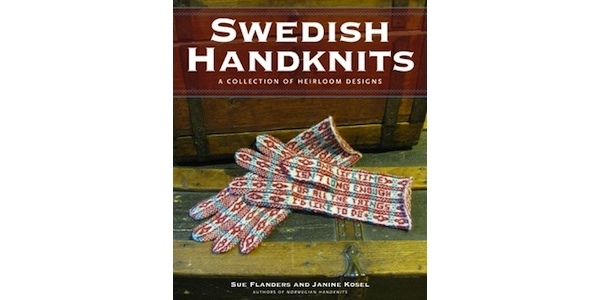 ***Disclaimer: I was given a copy of Swedish Handknits to review but was not told what to write or compensated in any other way. 7 years ago by Kat in Books , Knitting , Reviews | You can follow any responses to this entry through the RSS feed. You can leave a response, or trackback from your own site.